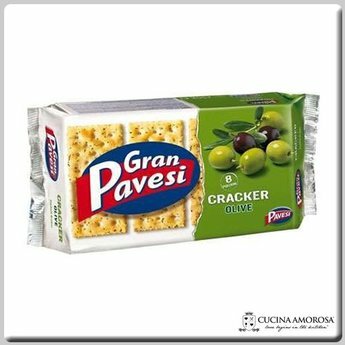 Gran Pavesi Gusto & Piacere (Taste & Pleasure) Cracker (with olive) is unique and adds a touch of style to your day, anywhere, anytime. 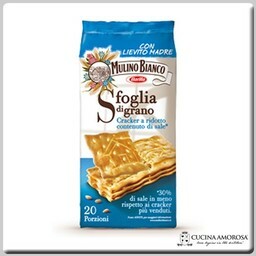 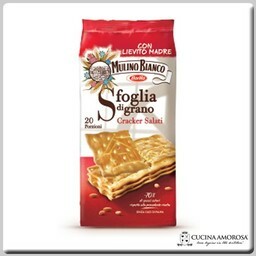 Ingredients: Wheat flour, black and green olives (4.5%), non-hydrogenated vegetable fat, extra virgin olive oil (2.8%), salt, aromatic herbs (0.4%), acidity regulator: sodium hydrogen carbonate, malted barley flour, flavors, yeast. 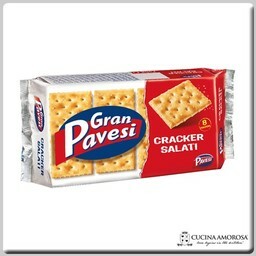 Produced in a factory that also uses peanuts, nuts, milk, sesame, eggs.